In the National Overall Rankings, 8 different countries brought home a medal. The top 3 countries with by highest point totals are: United States (298), United Kingdom(108) and Canada(25). For the whole country list click here. The Player Rankings consisted of hundreds of contestants with 42 individuals bringing home at least one medal for their mantel. The top three medalists by point totals were Reibear (78), HSIAMetalKing (52) and Nilcypher (34). The the rest of the individual medal winners click here. We had a lot of fun with this event, and we hope you did, too. Please visit our FEEDBACK forum post to leave your comments about your GamerLympic experience. Was there one event you really liked? One you could've done without? Let us know so that our next GamerLympics can be even bigger and better. 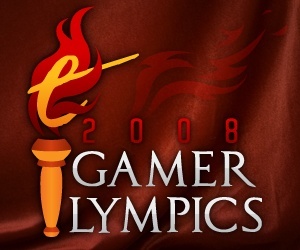 Thanks so much to everyone who competed in the the GamerLympics and for making it such a HUGE success!